Dr. Barden-Maja is Professor of Clinical Medicine and Director of the Women’s Refugee Clinic at the Penn Center for Primary Care in Philadelphia, Pennsylvania. She is co-Director of the ambulatory medical education curriculum and Program Advisor of the internal medicine residency at the University of Pennsylvania School of Medicine and serves as an attending at the Hospital of the University of Pennsylvania. Additionally, Dr. Barden-Maja is a staff member of the Department of Medicine of Presbyterian Medical Center in Philadelphia. I find that this type of self-challenge is also helpful in preparing myself for the Maintenance of Certification (MOC) exam. I’m constantly asking myself, “Is what I’m doing the right thing now?” and “Is there any new data to inform or change what I knew to be true ten years ago, or even a year ago?” I see a true connection in how I prepare for the MOC exam to the skills I’m teaching the next generation of physicians. 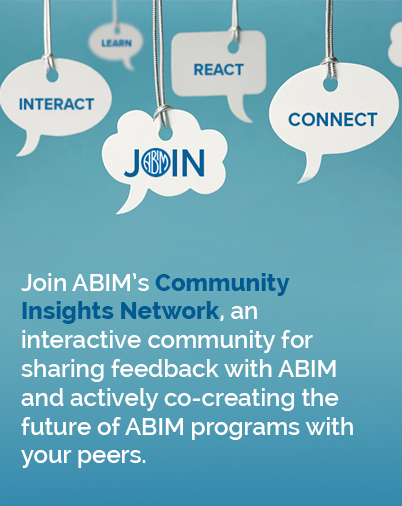 ABIM has assisted me in being able to impart what I’ve learned about where to find the most up-to-date medical knowledge and how to conduct excellent clinical reasoning in practice. Internists are naturally intellectually curious and are inclined to want to learn new things and to improve themselves. At an academic institution, keeping up is a bit easier because physicians have the opportunity to reinforce these skills, but if they’re in a community or a private practice, they may not necessarily have colleagues immediately available to ask questions. ABIM provides access to a wide variety of MOC resources to help guide physicians in what they need to do to maintain their certification and address knowledge deficiencies. By completing MOC activities, I feel it has filled in some of my knowledge gaps and has made me a better teacher for my students and—most importantly—a better doctor for my patients. I never realized board certification was important to patients until some of mine told me that they looked me up online and found out about the certifications I hold. Just like someone in need of an electrician may want to check their credentials to ensure they’re going to do a good job, patients also want to know their physician is board certified and meeting some level of professional standards. Being ABIM Board Certified makes me proud and gives me the confidence so that when I stand in front of a room full of medical students, I’m certain that I know what I’m talking about, and when I stand in front of a patient, I know I’m equipped to give the best possible care.